Back at the clubhouse, KYC's kitchen staff will be serving up authentic Caribbean dinner specials including Tropical Gazpacho, Jerk Chicken, Trinidadian Goat Stew with Paratha Roti and Volcano Ice Cream for Dessert. 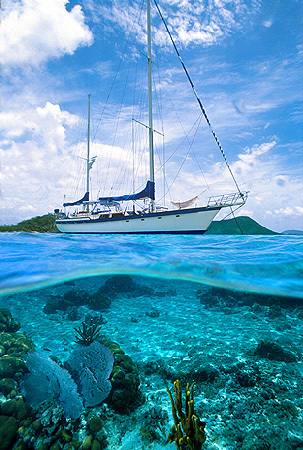 The bar staff will be mixing up Mojitos and Painkillers for all the thirsty sailors, all set to Caribbean music. JLS Wins Shark U.S. National Championship! Three KYC Sharks White Star, Shadfly and Jonathan Livingston Seagull departed for Mallets Bay Boat Club in Mallets Bay Vermont for the US Shark National Championship Regatta this past weekend where 23 Sharks all competed for the championships. Due to the lack of wind, racing was delayed until around noon when the wind from the north filled in to 5-8 knots and 4 races were sailed. Steve, Norah and Julian on board Shadfly took some great races on Saturday posting an 11,2,3 and a 5 but later found themselves on the wrong side of 50/50 protest which lost them their second place finish. Jonathan Livingston Seagull, on the other hand, posted finishes of 1,1,1,2 for the day, putting a tight grip early on in the regatta for the championships. The race on Sunday started in approximately 5 knots of breeze and was later shortened to three legs where five boats finished and the rest of the fleet failed to make the required 30 minute time limit after the first boat finished....Jonathan Livingston Seagull won this race too, clenching the US Shark National Championships after counting 4 firsts for the regatta. Congratulations to Sean Marshall, Tiberius Trifu and Peter Van Rossem for their win. 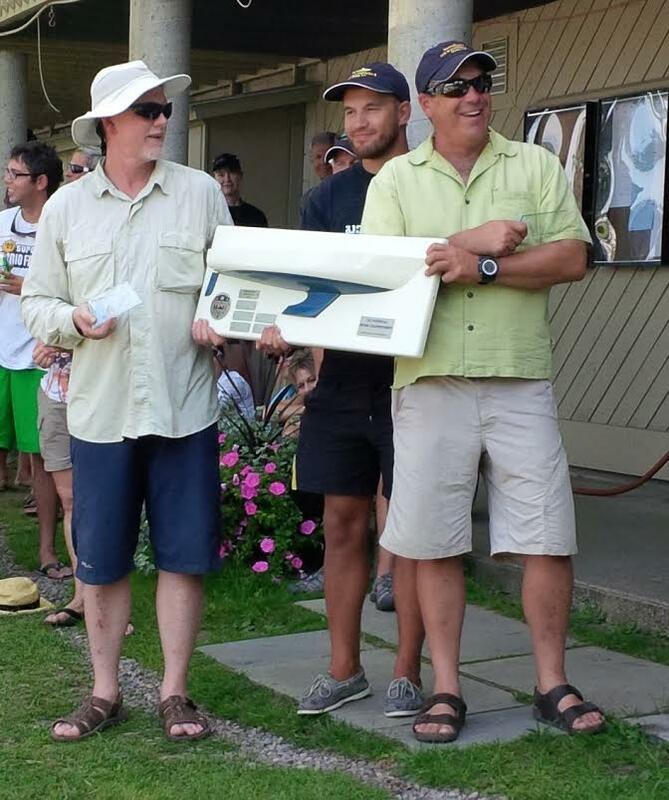 Congratulations as well to Shadfly who were also one of the five boats to finish in the very challenging light air race on Sunday, placing them in 5th overall for the regatta. Congratulations also to White Star who made a great effort to compete and who were proud to fly the KYC burgee at regattas this year. 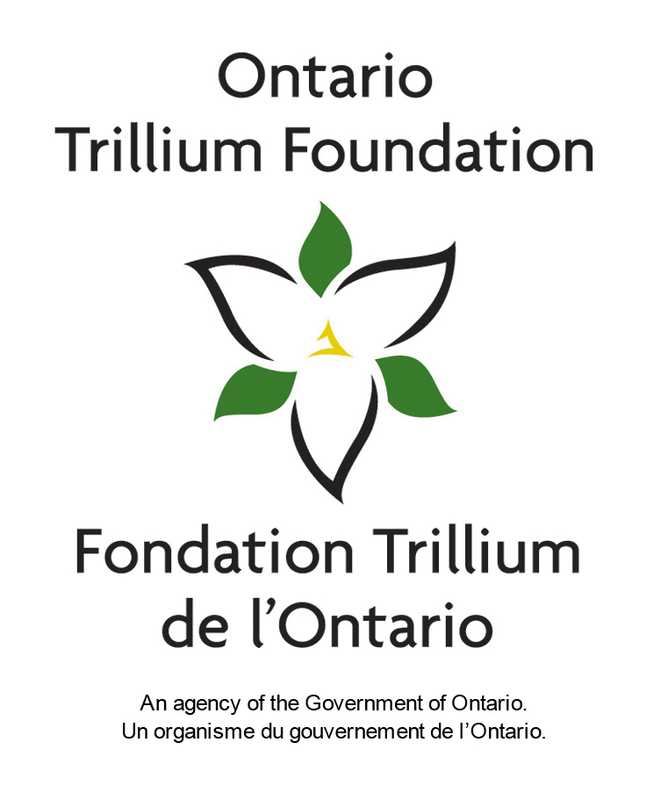 Thank you to the Kingston Yacht Club Corinthian fund for supporting me this sailing season. The KYC community has been a major part of my development as a sailor, and I am grateful for their continued support. Thank you. 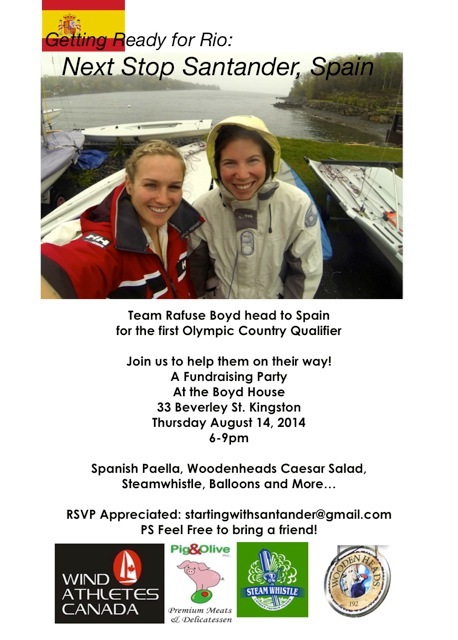 I hope you can join us Thursday August 14th as I continue my dream of representing KYC at the Rio Olympics! Thursday morning, it was tested out by Dr J. Mahood (KYC Commodore 1979-80), skippered by David Grightmire, one of the most dedicated of the Able Sailors. They had a blast! We are now carrying a larger selection of draft beers, this week we are bringing back Beau's Kissmeyer Nordic Pale Ale. We also have a few bottles left of Beau's Festivale, their summer seasonal, which will not be available for much longer. Both are served up as always in our chilled glassware. Only 2 more series to go! and 2 boats seeking crew. We need more boats!